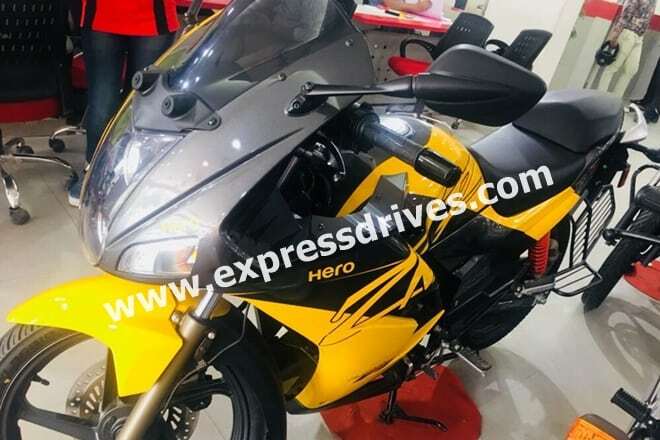 First set of images showing the updated 2018 Hero Karizma ZMR Dual Tone have surfaced online. 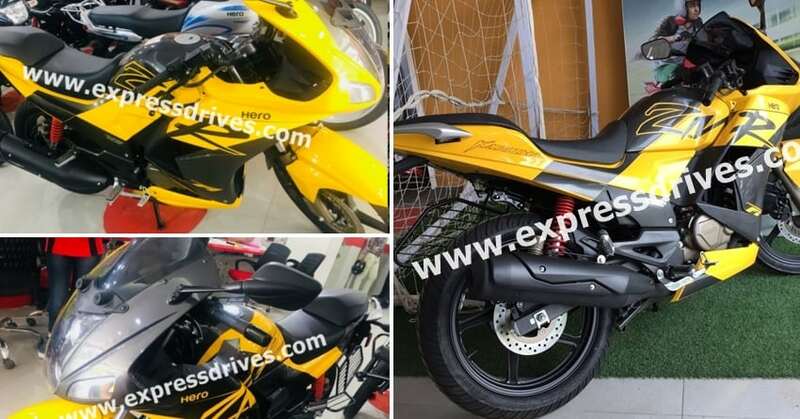 The motorcycle looks different, offering Black/Yellow livery with huge ZMR moniker on the side fairing. 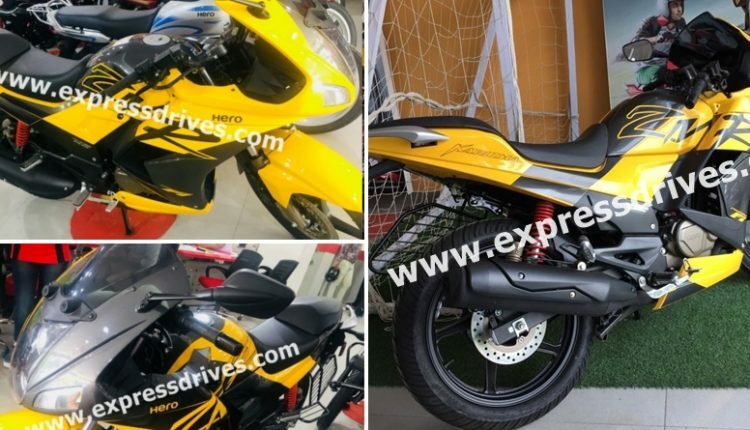 The upper side of the fuel tank is finished in black while the lower side flaunts yellow on the motorcycle. The trend reverses when seen from the left side. 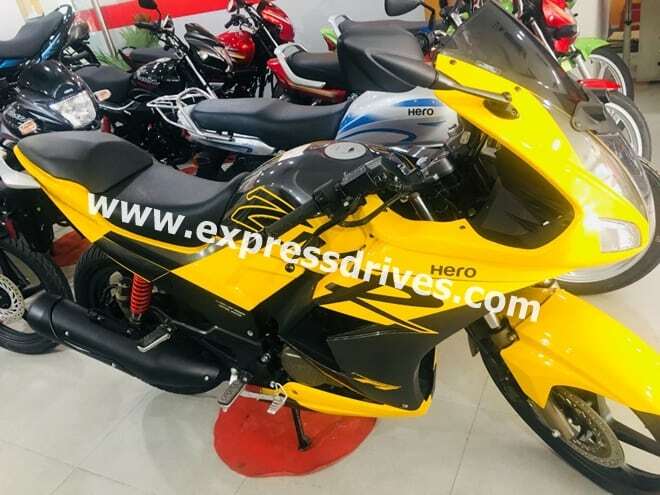 The front fascia of Hero Karizma ZMR comes with black shade on the left and yellow on the right half. Fortunately, the front fender is in a single tone while rear under seat panel also follows the same reverse coloring pattern with black/yellow variation. Proportionate may not be the first word to pop out of your mind for sure but, those looking for exclusivity can buy the Karizma ZMR for its unique color pattern. The exhaust on dual tone Karizma ZMR is all black, looking decently attractive and mature in comparison with the stainless steel finish of the regular version. Karizma ZMR is powered by an oil-cooled, 223cc fuel injected engine producing 20 Bhp and 19.7 Nm. The engine comes mated to a 5-speed gearbox. Karizma is available in four regular shades namely Vibrant Orange, Spotlight White, Panther Black and Blazing Red. The single tone variant is priced at INR 1.08 lakh while the dual-tone model is available for INR 1,10,500 (Ex-Showroom Delhi). As a user of previous Karizma. This will be a huge bummer for hero. Changing graphics doesn’t land you to increase sales of that bike. 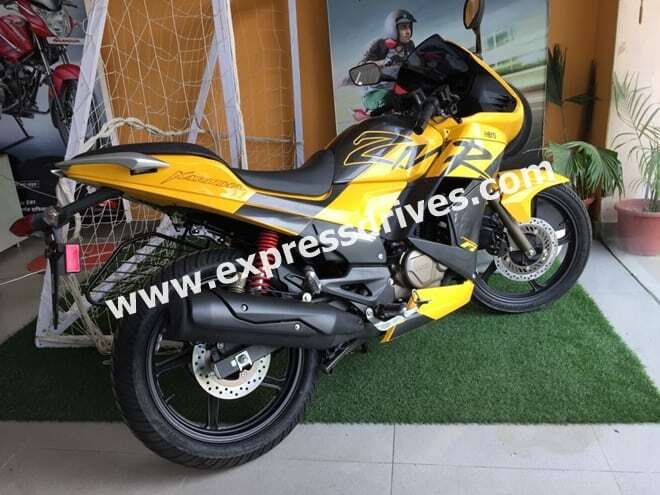 This bike has many faults from tire, suspension handling and also the riding quality doesn’t match upto the price tag.